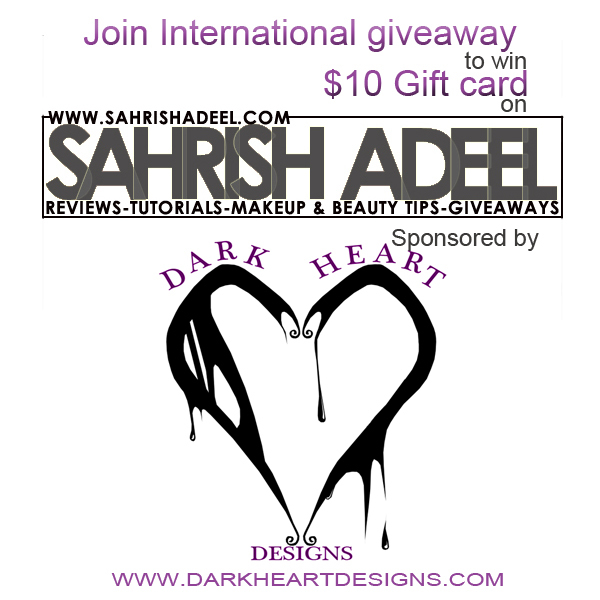 $10 gift card-Open WorldWide by Dark Heart Designs | Sahrish Adeel - Malaysia based Pakistani Beauty & Lifestyle Blogger! Here comes another giveaway for you guys. This giveaway is sponsored by Dark Heart Designs!